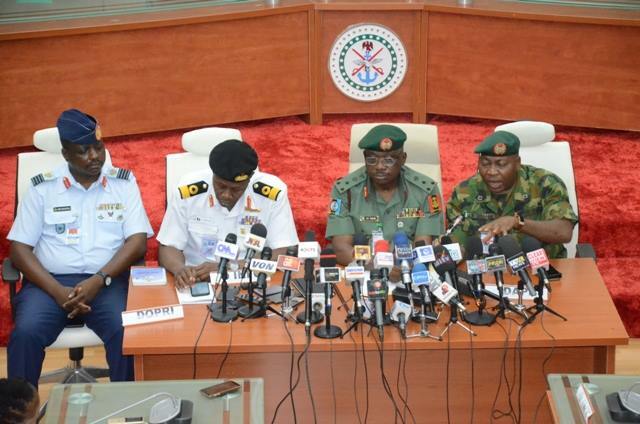 The Armed Forces of Nigeria has outlined a code of conduct for all its personnel ahead of the 2019 general elections in the country.It re-affirmed the need for its personnel to remain neutral, impartial and professional in the discharge of their constitutional duties. Brig. Gen John Agim in his address on Thursday, also disclosed the readiness of the military to prevent any attempt to intimidate the electorate by any individual or group of persons. Agim also spoke on the on-going Exercise EGWU EKE III (Exercise PYTHON DANCE III) which as earlier reported by HRL News, was set up to curb criminal activities before, during and after the 2019 general elections.